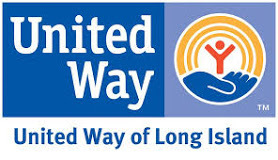 TRI would like to thank the United Way of Long Island for its continued generous financial support. Our funding helps us in providing enhanced vocational training and employment placement services. As the United Way of Long Island is a financial supporter of TRI, we encourage you to visit their website www.unitedwayli.org and make a donation. All donations, no matter their size, are appreciated! TRI Business & Career Center, 123 Frost Street Suite B, Westbury, NY 11590. Looking to start a course with us?